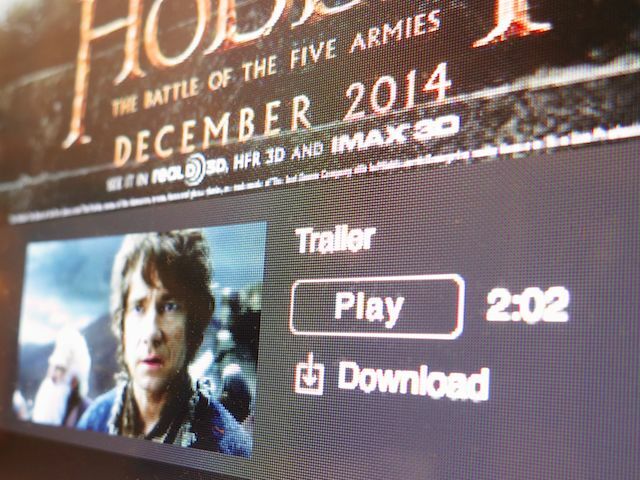 A year ago, I bemoaned the loss of downloadable movie trailers on Apple’s iTunes. Without explanation, newly posted QuickTime trailers became streaming-only. And only at a resolution of 720P. I really enjoyed watching my movie trailers on demand and having them live on my iPhone to be summoned wherever and whenever I had two minutes to kill. I experienced this new stark reality as a slow, cruel, excruciating loss. And this geek was really sad. I publicly pleaded with Apple to reconsider this decision. “Please…. Restore my little joy,” I posted on my mighty, tiny blog. And then… I moved on with the rest of my life. Over the past year, I think I’ve adjusted quite nicely, thank you very much. Ironically, Apple’s iTunes Movie Trailers website is still the best game in town to watch trailers for the season’s upcoming movies. So despite it all, I’ve remained a frequent visitor. But deep down, the disappointment… it hadn’t entirely dissipated. Every so often, I still Googled “Download Movie Trailers” to see if anyone else had picked up this particular torch. Sure, there are a few homegrown efforts out there, but I’ve always felt more comfortable downloading content from a known commodity. A couple of days back, I found myself randomly running the Google search before hitting the sack, as if some ‘Q-based’ life force in the universe would simply ‘will’ there to be different answer. Just before I was about to power down, I glanced over some of the wording under Apple’s standard link to iTunes Movie Trailers. I quickly navigated to Apple’s movie trailers homepage. I opened up iTunes as a program and immediately clicked on the iTunes Store. Then, I navigated to the Movies section. At that moment, I think I noticed the wind pick up outside. And was that some distant thunder I heard? And when you click on ‘Download,’ you can choose between 720P and 1080P. It was back. All of it. My movie trailers have been returned… securely positioned within the iTunes ecosystem. I don’t know how long these downloadable trailers have been back.